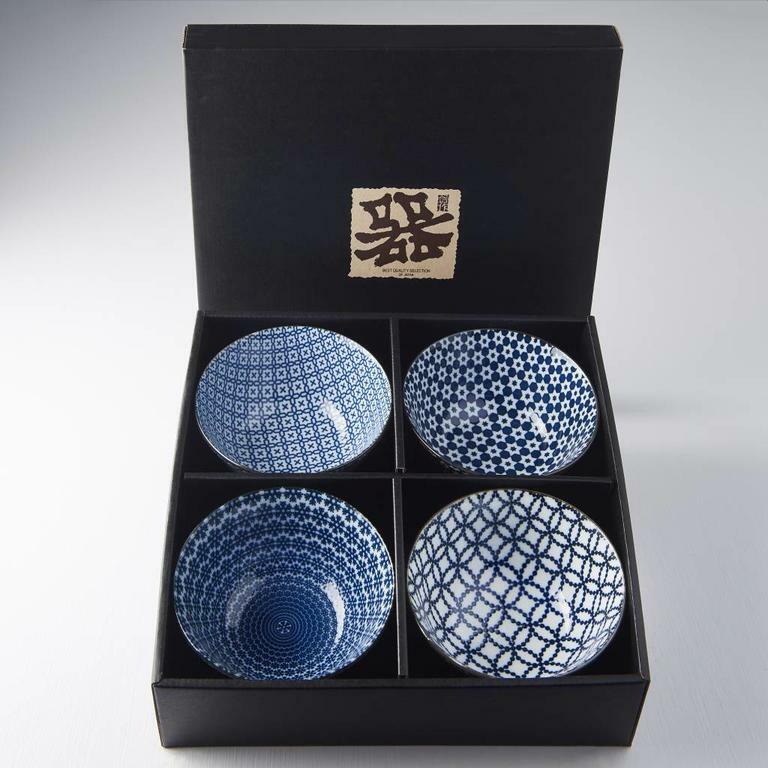 Lovely set of four blue and white bowls perfect for any household that enjoys beautiful bowls to eat out of. 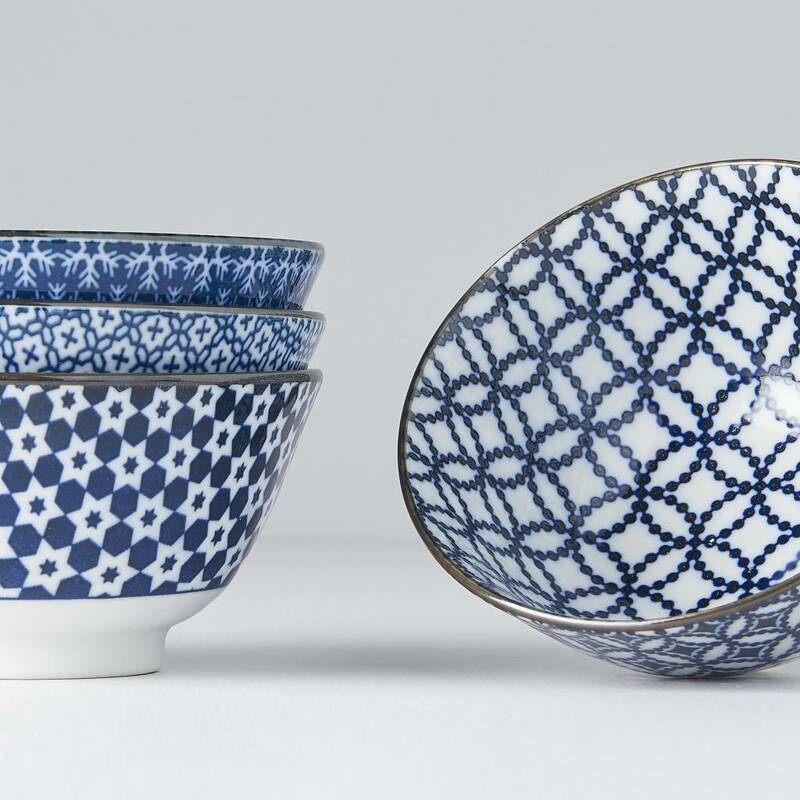 These could be used for oriental cuisine or as serving bowls. 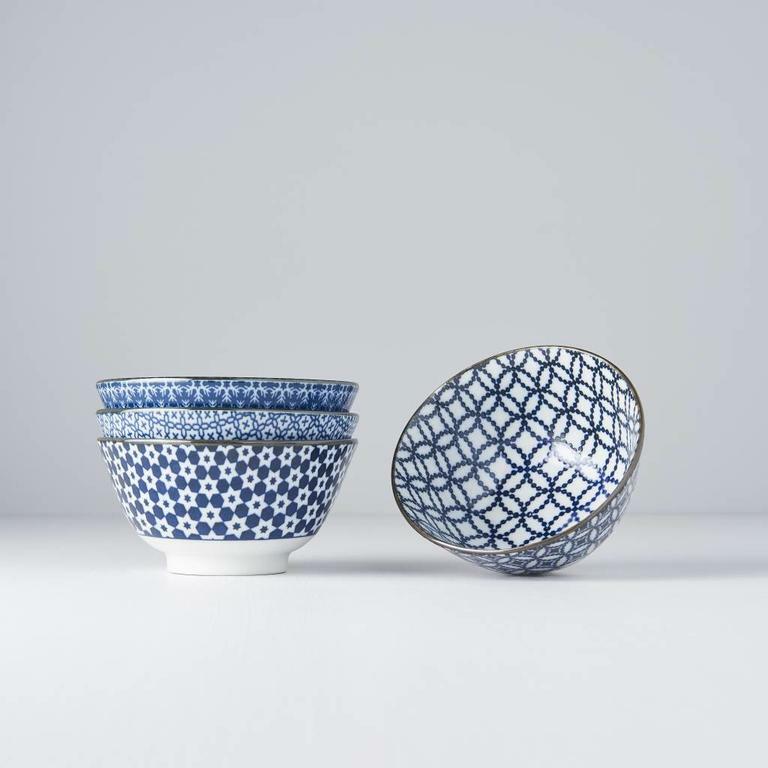 The simple and elegant design enables these bowls to fit into any existing sets.